Hops: Great Herbs for Beer. Our story about using hops as herbs for sleep begins centuries ago in the fields of Europe. 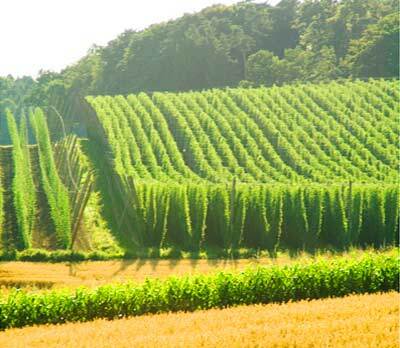 Workers are picking the hops for the master beer maker's latest brew. But an interesting thing keeps happening. The darn workers fall asleep on the job! Could it be there's something in the hops that's sedating these hops pickers and putting them to sleep? Yes. There's a chemical (methylbutenol) in hops that makes them a worthwhile addition to our list of good herbs for sleep. How are hops (scientific name humulus lupulus) used as a sleeping aid? Historically, hops were a traditional medicine used as one of the herbs for sleep because of their calming, sedating, and hypnotic (sleep inducing) effects. Now in modern times, Commission E, Germany's equivalent to the U.S. Food and Drug Administration (FDA), has given its approval for using hops in cases of anxiety, restlessness, and fighting sleepless nights. one of the good herbs for sleep? Yes again. The studies show that hops are a mild sedative. And the studies mainly show that if you're going to use hops as one of your natural remedies for insomnia, it's best to take them in a combination of hops and valerian. And rather than me just telling you that humulus lupulus works with valerian root, I'm going to show you the studies so you can see the proof for yourself. Sleep. 2005 Nov 1;28(11):1465-71. The findings show a modest hypnotic [sleep inducing] effect for a valerian-hops combination...relative to placebo. Sleep improvements with a valerian-hops combination are associated with improved quality of life. Overall, these findings indicate that a valerian-hops combination...might be useful adjuncts in the treatment of mild insomnia. Eur J Med Res. 2008 May 26;13(5):200-4. Repetitive administrations of valerian/hops combinations have been widely used for self-administered therapy of sleep disturbances. This investigation focuses on the question if a single administration can be an effective sleep aid. The present investigation has shown evidence that a valerian/hops fluid extract can be used successfully using a single administration. Wien Med Wochenschr. 2007;157(13-14):367-70. Valerian and hops are traditionally used as sleep-inducing aids. Hops act in a similar way to melatonin. Therefore, the efficacy of a valerian and hops combination in sleep disorder can scientifically be explained. You've just read the words from the actual studies. There are many more such studies. So what does this all mean? It could mean less restlessness with better sleep quality, fewer sleep problems, a decline in stress and anxiety disorder, and a more soothing, deep sleep. It could mean more alertness during the day due to less fatigue and sleepiness. It could mean better health and wellness as well as a better life. In the United States, the FDA has given hops and hops oil GRAS status, which stands for Generally Recognized As Safe. 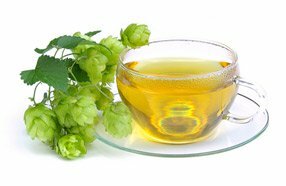 One caution to note is that hops might increase the effect of sedative drugs. So if you're taking drugs for insomnia, it would be very wise to discuss things with your health care professional before taking hops or any of the other herbs for sleep. You can use these herbs for sleep in herbal teas or in tinctures. The tea is bitter. Add a sweetener if you like. You can also take hops in capsules. As I mentioned in my article on natural sleep aids, herbs and vitamins taken together as sleep supplements may be the best way to use herbal medicine for sleeping problems. To alleviate some of your sleep difficulty, you can even make a little hops pouch. Stuff it with dried hops as herbalists have done for centuries to help their patients alleviate sleeplessness and promote a relaxing and restful sleep. Then slip the pouch into your pillow case with your regular pillow and see if it helps you get a good night's sleep. Some sleep experts who are educated about using natural healing herbs for insomnia like to combine hops with passionflower. 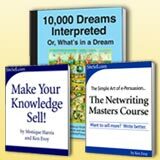 So part 4 in this series on using herbs for sleep will focus on passionflower. These natural sleeping aids contain hops, passionflower, valerian, Vitamin B6, chamomile, and a whopping 44 other healthy nutrients! Now that's a company that really knows how to take full advantage of these sleep herbs for insomnia. Click here for more information on one of the best sleep aids. (Link opens in a new window.) It just may help you get the deep sleep you crave. Part 5: An Herbal Sleep Remedy for Egyptian Mummies?